I grew up drinking hot chocolate made by adding powdered chocolate milk mix into warm milk— better than the powdered cocoa mix added to hot water but not perfect. Now these many years later, I have finally made what I consider true hot chocolate— the kind that is thick and rich, like drinking a melted chocolate bar. I am compelled to make believers out of you. 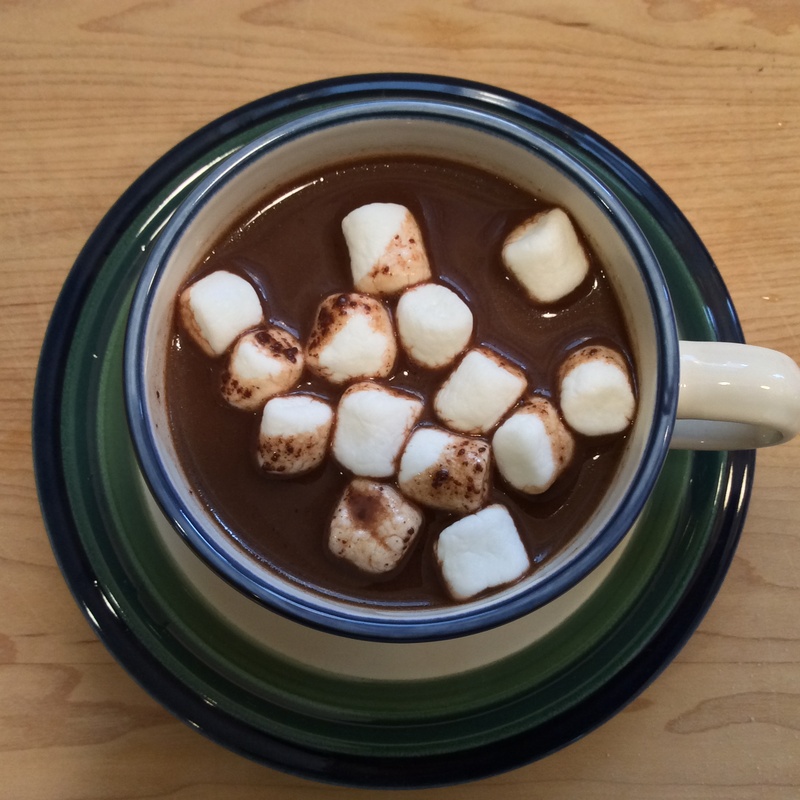 With all the snow we’ve had lately, I’ve had a lot of opportunities to make hot chocolate. I first made it with my preschool class. I pulled a recipe that looked good from Food52. 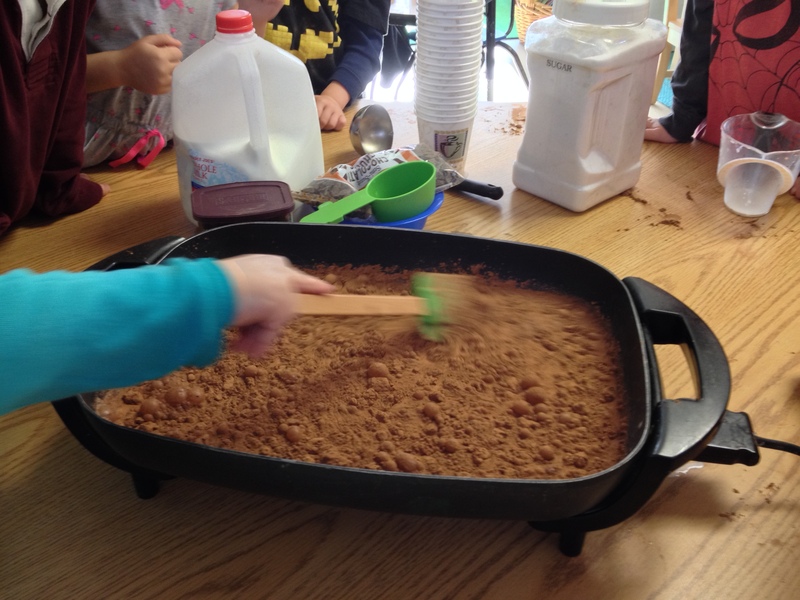 It called for whole milk, semisweet chocolate, cocoa powder and sugar and it was delicious. So good, in fact, that for the first time this year every child tried it. If that wasn’t amazing enough, they all liked it, even lining up for seconds. Then I made it at home using dark chocolate instead of semisweet chips and substituted skim for whole milk. Though I liked it, my kids didn’t like the bitter flavor that the dark chocolate imparted. I tried again using semisweet chips but stuck with the skim milk because that is what we always have on hand at our house. This one was a winner. And, honestly, it is not a lot more work than warming milk. So this is the recipe I will stick with to warm us up after a fun day playing in the snow. Try it. You’ll be glad you did. 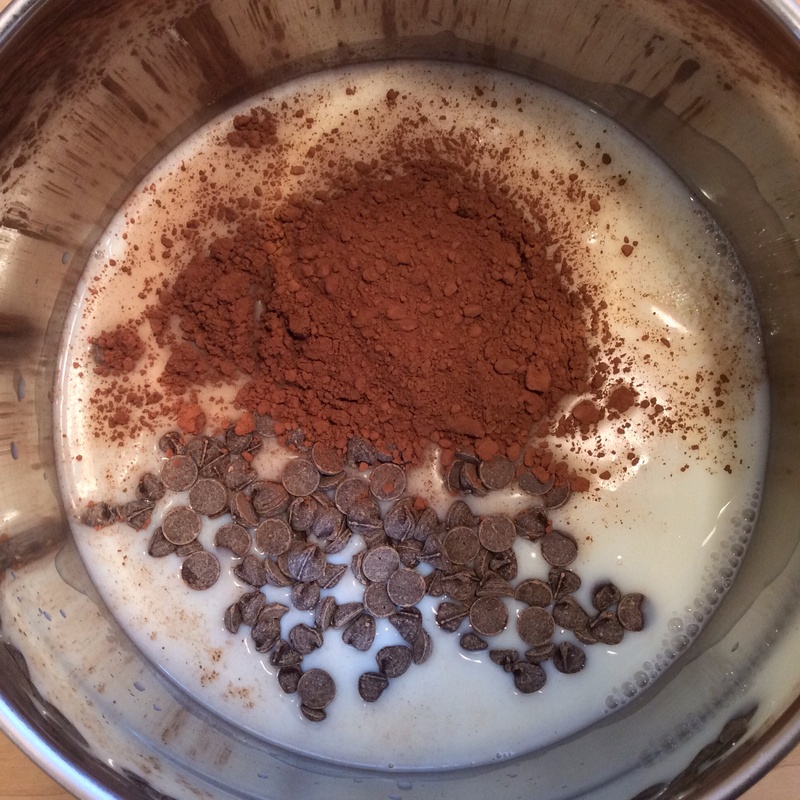 Start with half your milk, chocolate and cocoa powder in a saucepan. 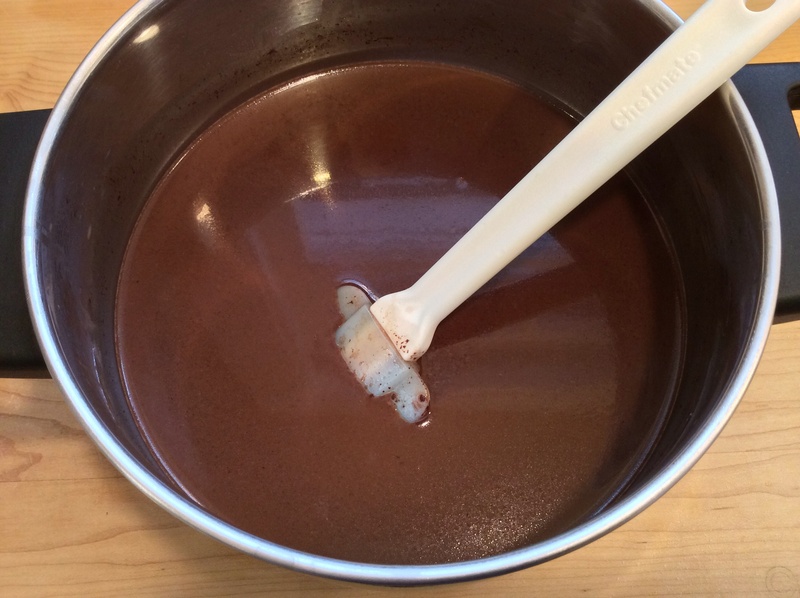 Warm this up, stirring and melting your chocolate. Then add your sugar and a little salt. I added the full 8 Tbsp. sugar but I suggest trying 6 Tbsp. to start and then adding more to taste. 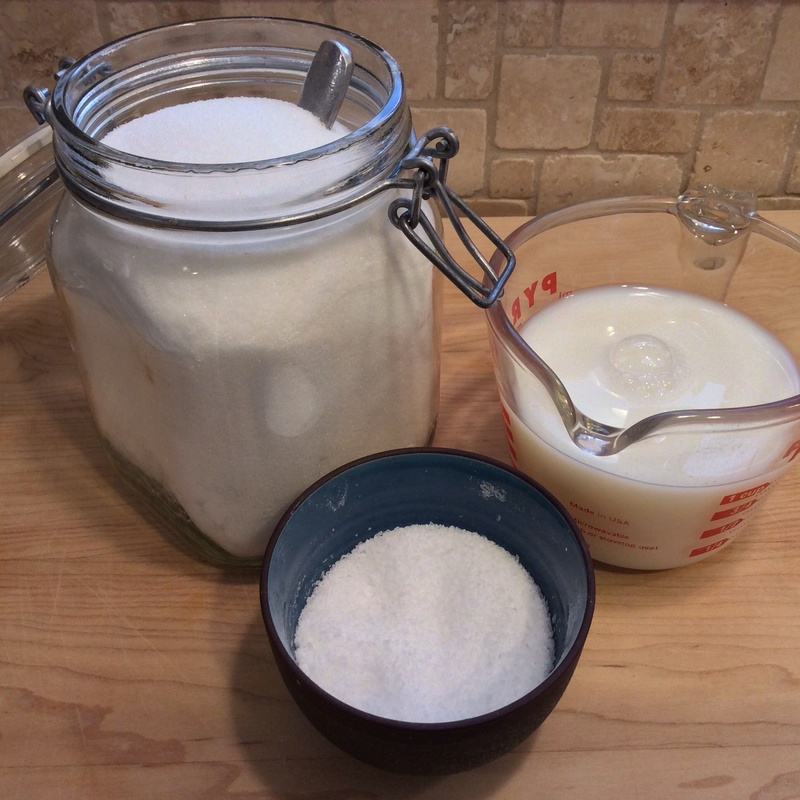 Stir to dissolve the sugar and then add the rest of your milk. Warm and enjoy. I prefer a spoonful of whipped cream in my hot chocolate but since I was all out of cream today, mini marshmallows it was. Yum! 1. 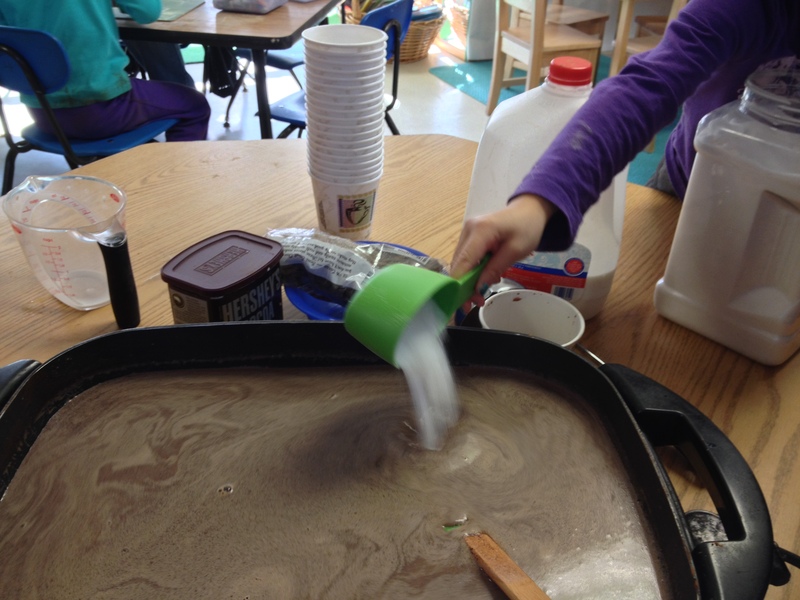 In a saucepan, mix the chocolate, cocoa powder and half the milk. Warm and stir over medium-low heat. Stir often until chocolate is melted. 2. Add the sugar and salt and stir to dissolve. Then add the remaining milk and taste for sugar. Heat the rest of the way through. Pour into mugs and top with marshmallows or whipped cream, if desired. Welcome to Moonlight Kitchen Musings and thanks for stopping by. I'm a working mom, a trained baker, and an enthusiastic home cook. I love to bake but I don't usually get to it until the kids are in bed and the moon is up. I plan to share my experiences with you and I hope you’ll find the recipes I share worth your while. I’d love to hear from you. So please comment on my posts and keep checking back in.